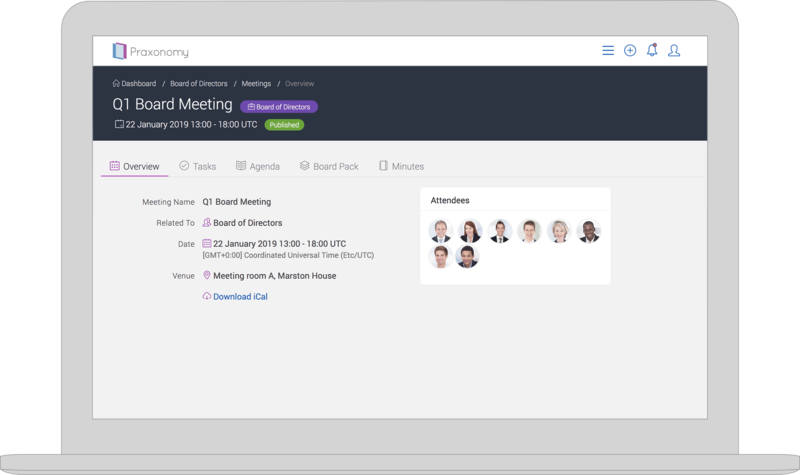 In this 45-minute personalised live demo session, our product expert will walk you through the benefits of using the Praxonomy board portal as well as the journey towards transitioning to a paperless board. Copyright © 2019 Praxonomy. All rights reserved.